Perfect! I tell people I forget sometimes because my brain is already filled with so many things (some of it useless) and is therefore struggling to rearrange the mish-mash. That happens when you turn 50…usually. It’s a survival mechanism. I feel the same about Oprah. I mean, I like bread, too, but I don’t have the need to tell everyone. 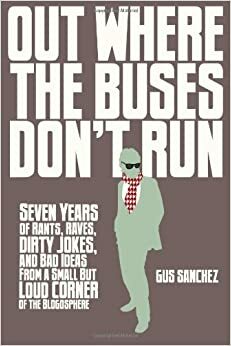 A true native New Yorker (born in the city, county, and state of New York), Gus Sanchez now resides in the South, where on occasion he likes to remind his neighbors that, like Han Solo, they shot first. His short stories have appeared in several print and online anthologies. He is currently working on his first novel, which he hopes to complete…eventually. MY BOOK! YOU KNOW YOU WANT TO READ IT! Follow Me...and I'll Follow You?